Yeah! 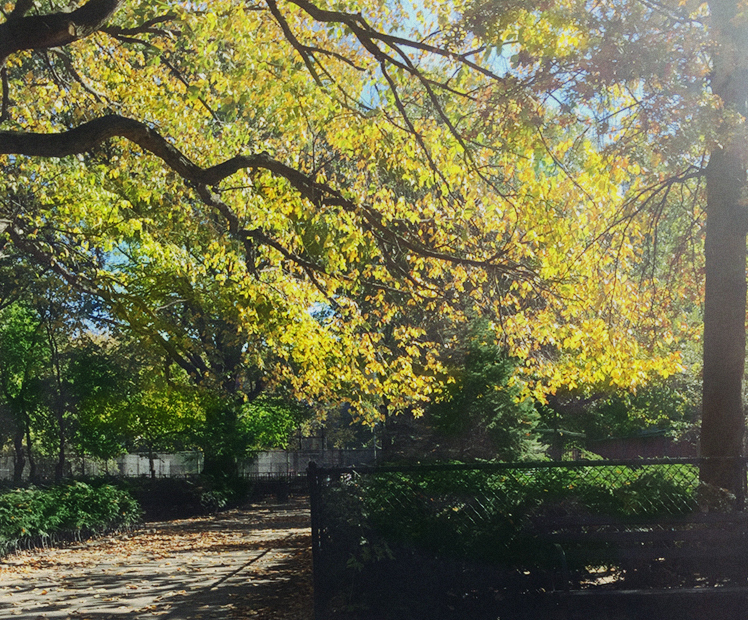 I haven’t exactly been lighting up the blogging universe with posts. I think the last one was in Fall of 2017. Whatever…I got old, I slowed down…way down. I’m not really doing anything very interesting musical anymore but I think there is going to be a big rush of stuff coming. So stay tuned for that you 20-30 people a day (maybe) who still visit here. I have been taking a lot of pictures and cooking a whole bunch of different food. I was thinking of putting some of that on here too…so there might not be as much Guitar in The Guitar Cave anymore…that will probably be ok. The other thing is: If I were a young guy I would get a YouTube channel and do something that way because for music, art, graphics, cooking or really most of the stuff I like, a YouTube presentation really is the way to go. A blog can still work for political analysis/social commentary-type stuff where most people, especially older people, would rather read than watch… and where the commentariat plays a big role in how the blog/site functions and how popular it is. I think everybody has these preferences…some would rather watch this or read this, etc., etc. I started this blog in 2011 and these types of channels hadn’t materialized yet. For that matter, when I started playing Gypsy Jazz, online instructional material on jazz guitar was pretty hard to come by unless you were already a player. YouTube has really become what television always should have been — entertaining and instructional, whether it’s for guitar, music, art, food, whatever. One can enjoy watching a channel spotlighting a skill, even something as humanly basic as cooking, and (if one is capable of following instructions) prepare that dish or those dishes for an evening meal. And it’s all driven by audience choice…dial up whatever you want and I’m sure you will find exactly that and not something that a group of people who own a station or a media company decided you should watch at a certain time. It’s soooo cool to be alive to see this and I make use of it ALL THE TIME. 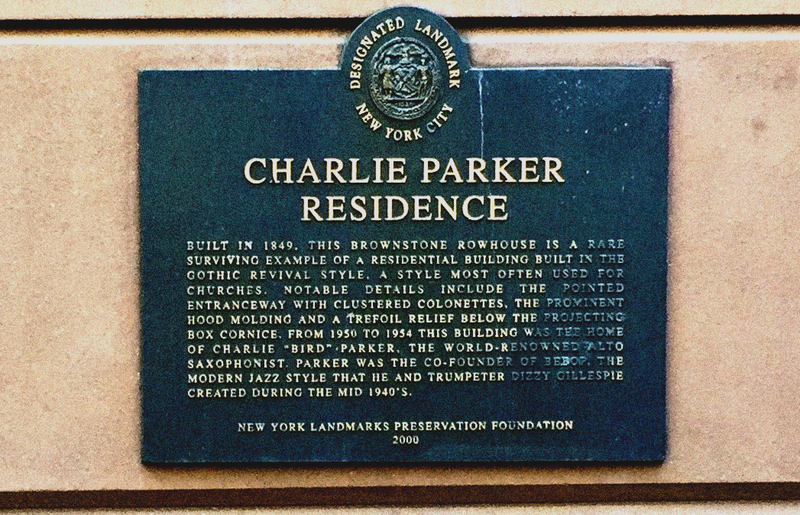 Speaking of photos, here is a close-up on the plaque of the Charlie Parker residence in the East Village, New York City. Follow the link in “residence” for property info. Charlie lived here from 1950 to 1954 and besides the land-marked townhouse that is worth whatever millions people with too much money are willing to pay, there is an annual Charlie Parker Festival in the park across the street. It is one of a few good concerts one can see in the summertime. I think of Robbie and The Doors as playing primarily textured music with an ever present theatrical edge and very jazzy tinge. Since Ray Manzarek functioned as a keys/organ/piano/bassist instead of the standard bass player this was (and is) evocative of Wes Montgomery and others from the jazz age with a guitar/organ/drum lineup. Musically anyway. None of those trios had Jim Morrison for a singer, but the interesting thing is, Jim was a crooner (ala Frank Sinatra) so maybe The Doors were the second best (after various Miles’s lineups) jazz band of the 60s? (haha) I’m not seriously suggesting that any more than I was serious that Led Zeppelin was the best jazz band of the 70s, but obviously The Doors, along with Zeppelin and The Allman Brothers (and The Dead) did a whole lot of listening to and a whole lot of incorporating of various jazz elements into their ostensibly ROCK sound. The Doors sound was cold and weird and sometimes (when the organ was the dominant riff of the song) they evoked the nightmarish possibilities of a Clive Barker/Stephen King horror psychotic carnival band. Having an eye for theatrical presentation (Jim Morrison was a film student and heavily influenced by The Living Theatre) helped turn many of the band’s performances from the earliest days into a very strange trip on the dark road at the end of the night. But even without those elements, when the band sat for televised, no-audience sessions (because their performances had become a little too extreme, at least in the eyes of the authorities) they constructed a uniquely dynamic sound with what was already an established type of band line-up. The line-up is still popular in jazz and is especially suited to more intimate surroundings as shown in the following clip. A few years ago I explored the history of one song, The World is Waiting for the Sunrise and tried to illustrate its evolution as “name” players performed it over a span of almost 60 years. I thought it would interesting to do the same thing with one of the prettiest (if slightly insane) songs The Doors ever recorded, The Crystal Ship, which was one of the songs the band mimed on American Bandstand, the America’s Got Talent of yesteryear. Obviously a HUGE part of the band’s appeal was Jim Morrison’s presence vocal delivery. Keep in mind this clip is 47 years old — this isn’t some shoegaze band from the early 90s. The Doors put out a whole lot of emotion and feeling in this song and no one has ever completely matched their brand of seductive danger and weirdness. How might one try to capture some of that feeling in a solo guitar piece? Well…this first example recalls Robby Krieger’s flamenco influences or, possibly one can almost hear some José Feliciano or Django Reinhardt in it, something like Django’s song Tears perhaps. The point is not to focus so much on the playing, although I think it is very well done. While it is not as fiery nor does it have the virtuosity of most of Django’s work, the song (like the harmonic structure in Tears) is very satisfying to play and listen to and more or less arranges itself. A very accessible structure, a haunting melody, supported by various harmonic elements that are reminiscent of either Morrison’s voice or Manzarek’s keyboard and variations throughout that can be improvised or not depending on the mood of the player. It doesn’t have to be played the same way every time. Yet the tone of the guitar and some of the harmonic inventions make this much more than a verbatim cover. Here is another version done a bit more simply, but just as well in a more traditional fingerpicking type of way. Notice that this player’s interpretation doesn’t take as many liberties but throws in a couple of nice moves. I love the Fmaj9-Fmaj thing. Artistic license but done in a way that completely fits with the arrangement he has put together. Very cool. Also note that none of these players are famous, but that is the beauty of Youtube and world-wide connectivity. If you would like to learn to play either of these arrangements, both players have been kind enough to either put the music as is the case with the first version here, or a part by part walk-through for the second starting here. Finally, here is a third version that is a very stylin’ jazz archtop thing. Notice the rhythm change and all of the melodic and harmonic inventiveness not found in the other versions. Great stuff! But also notice it is no longer very haunting — the song has lost all of its quiet insanity. The tune is peppy and has the same bounce as Girl From Ipanema maybe. But, as with the other performances, it IS the same tune and the limit of where it’s going depends only on the arrangement and the player. I have been listening to more music from the 60s and 70s lately (hence the recent posts), but as you can see, I am interested in how people today interpreting this music. I have been messing around with my own interpretations of various things and there is something about music from this period that lends itself to this type of experimentation. Perhaps the same could be said for any period of music, but there was so much experimentation and blurring of styles during this era that sometimes the songs just naturally fall into whatever mood you want to make them. Try it for yourself…You might find that thinking like an arranger and arranging your own versions of material can make you a better all-around musician in the process.